Photographs by Hornick Rivlin Studio, Larry Stein, Sharon White Studio, Dean Schoeppner, and Jay Wilde for The Quilting Company. Used with permission. 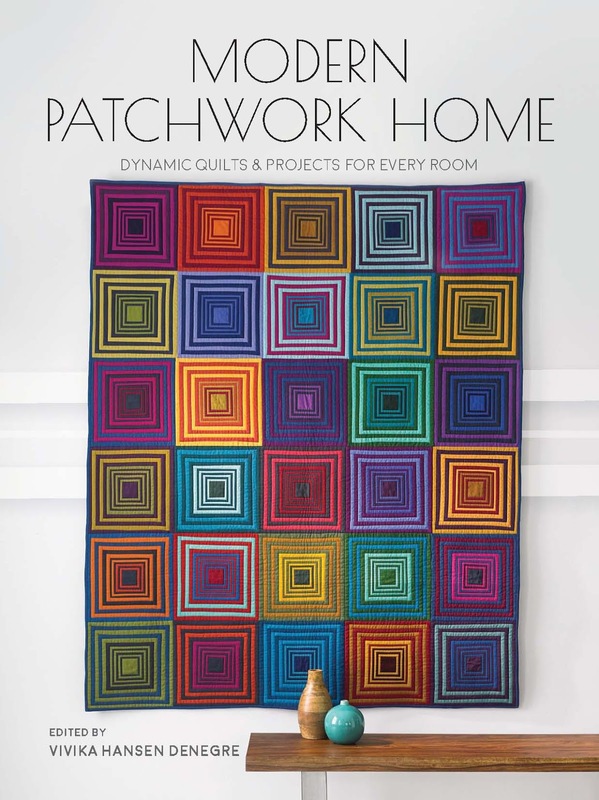 Have you seen the book Modern Patchwork Home - Dynamic Quilts & Projects for Every Room published by The Quilting Company? Curated by Vivika Hansen Denegre, the book has 24 projects created by quilters who are well known for their contemporary approach to design. From pillows to quilts, each project mixes the tradition of the quilting art with the modern aesthetic from the mid-twentieth century. The result is a collection of approachable works which will allow quilters to bring a touch of the current quilting trend into their homes. 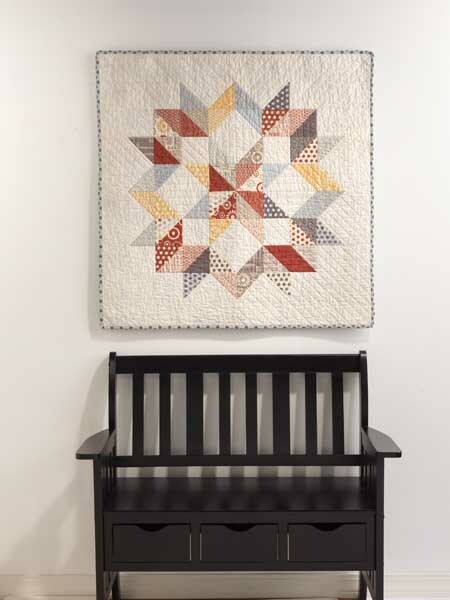 The Twinkle Star Quilt by Debbie Grifka has a muted palette with modern textures and lots of negative space. It is a perfect project for quilters who want to try their hand at something new yet are not ready to commit to what I call the ABC's of this quilting revolution: abstract, bold, and cutting-edge. 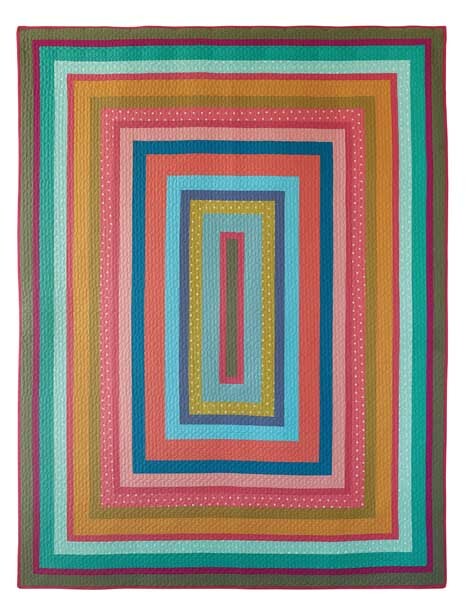 The Modern Courthouse Quilt by Siobhan Rogers is a large-size interpretation of the Courthouse Steps quilt block, her color choices giving away that there is more at work here - it also pays homage to the minimalist art style with its simple lines. 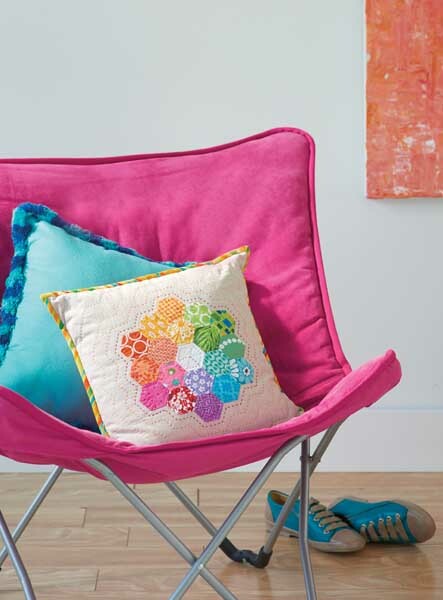 The Hexagon Pillow by Linda Hungerford features our beloved hexies with bright fabrics. Its distinctive hand quilted lines in gradating hues complement the contemporary look and add interest to the background. 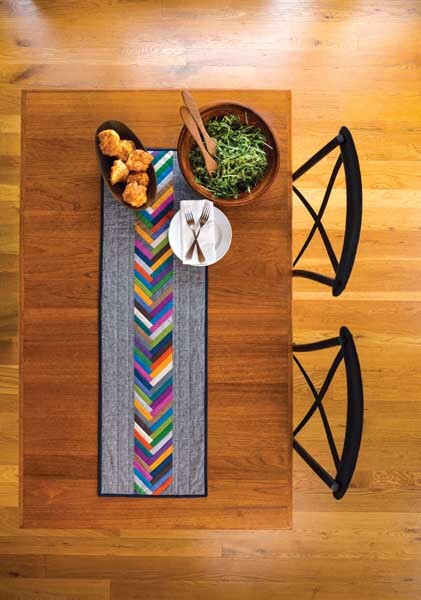 The Braided Table Runner created by Daisy Aschehoug is a deceptively simple project based on the log cabin-style construction and is another of my favorites from this book. Do you read 'stash-buster' between the table runner lines? 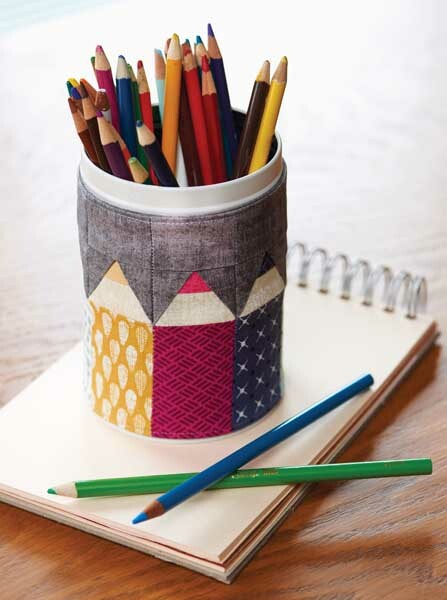 This Pencil Holder by Gosia Pawlowska would brighten up any desk and doubles as a stocking stuffer (yep, I am on the lookout for handmade gift ideas for the upcoming Holiday Season!). I love paper piecing and, for those of us who have not tried this technique, this is an ideal opportunity to learn it: quick, few pieces, and a cool end result. Speaking of techniques, the Quilting Basics section at the beginning of Modern Patchwork Home walks you through the methods used to make half-square triangles, Y-seams, English Paper Piecing, etc. After going through it, the new quilter will acquire the needed skills and confidence to complete the projects in the book, while the veteran quilter will find short-cuts to expedite his or her work. Whether you are a modern quilter or are interested in learning ways to incorporate this quilting trend into your arsenal of quilted projects, this book would make a great addition to your library or a fun gift for a quilty friend. 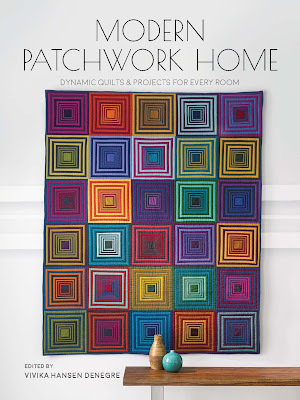 Thanks, Quilting Company, for giving me a chance to review Modern Patchwork Home!